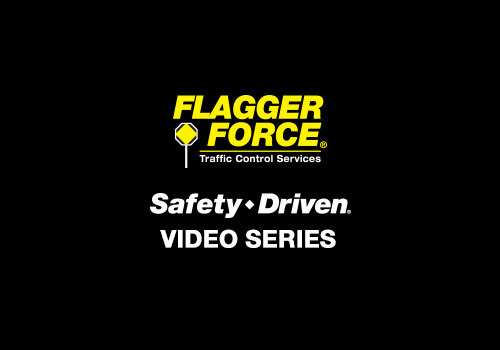 At Flagger Force, we believe in a Safety-Driven culture. We want to share our passion for safety with others. In traffic control, safety is the number one priority, not just in terms of setting up quality work zones but also in terms of personal safety. From the proper use of Personal Protection Equipment (PPE), to maintaining situation awareness, a safety focused approach to all things is critical. We focus on the basics which starts with wearing proper PPE per industry safety standards and even how you walk on the jobsite. Our people have to be safe before we can keep our clients and traveling public safe. 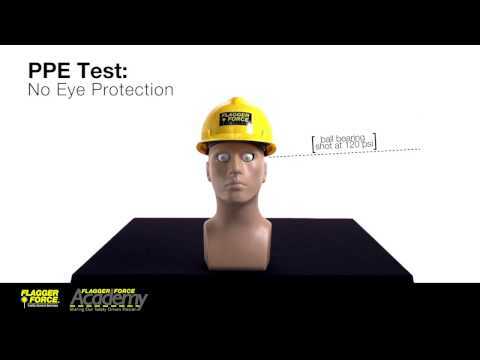 In this video we demonstrate the importance of proper eye protection. To represent a human eye, we inserted eggs filled with red dye into the eye sockets of a manikin head. We then shot a ball bearing propelled by compressed air through a copper tube at the “eye.” The result is both graphic and impactful. We then replicated the same situation with non-ANSI rated eyewear (cheap sunglasses) and the results turn out even worse for the “eye.” Finally, we put a pair of ANSI rated (Z87) eye protection on the manikin to demonstrate proper eye projection. As you can see in the video, proper eye protection is the key to saving your eyes from projectiles. In this video we demonstrate the effectiveness of safety helmets by simulating a scenario of a heavy tool falling from a bucket truck. We fastened an unripe melon onto the torso of a manikin to replicate the human head. From a height of 12 feet, we dropped a pair of bolt cutters onto the unprotected ‘head.’ As you can see in the video, the results are striking. 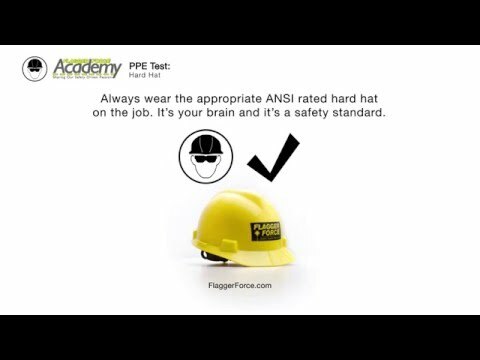 We then replicated the same situation with the addition of an ANSI rated hard hat. The difference in the two results clearly shows why you must wear a proper hard hat on the job site. In this video we demonstrate the importance of proper footwear protection. To represent the human foot, we've inserted hot sausages and red dye into sandwich bags and placed them inside boots—once in non-steel toe boots and then again using the proper PPE. The result of impact with the unapproved footwear is both graphic and impactful. As you can see in the video, proper footwear protection is the key to keeping your feet intact. Soft tissue injuries due to slips trips and falls are the leading source of injuries in the construction industry. Flagger Force takes safety seriously, but asking people to “pay attention” where they walk is not a message that gets people’s attention. We decided to try something new and make it more interesting. Luckily we were able to get “Daring Dan” and “Careful Cassie” to help us make the point that taking your time and remaining situationally aware, reduces the risk of slips trips and falls on the jobsite. Helmets are available with padding and straps, which allow the user to adjust for a perfect fit. Lightweight models are comfortable to wear all day long, and include ventilation to help keep your head cool. Safety glasses are designed to be as comfortable to wear as regular glasses. They are available with adjustable and padded legs and come in clear and tinted lenses for use outdoors in the sun. We have created our Safety-Driven culture so that workplace safety becomes second nature. PPE shouldn’t be an afterthought — it should be an integral part of day-to-day work. Just as we all buckle our seat belts as soon as we get into the car, we want our employees to put on their PPE as soon as they arrive at a job site and ensure the safety of their eyes and heads all day long. Safety is a mindset our Flagger Force employees take with them every day. It’s about being observant and aware, following rules and instructions, keeping in close communication with others on the job site and setting a good example by always wearing the required PPE. Flagger Force’s ‘On the Move’ publication is an industry-leading publication that focuses on topics important not only to the Transportation Infrastructure space, but to our clients’ businesses as well. 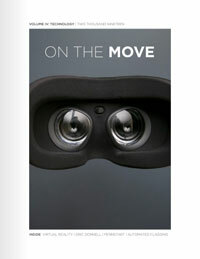 Sign Up to Receive “On the Move”!